Popular pakistani poet who died Young. Syed Mohsin Naqvi was born in a village Sadat near Dera Ghazi Khan. He went on to become a graduate from Govt. College, Bosan Road, Multan. He completed his Masters from the University of Punjab, Lahore. 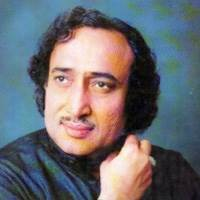 His real name was Ghulam Abbas Naqvi, but before he arrived at Lahore he was well known as Mohsin Naqvi. He was also known as the Shayar of Ahl al-Bayt. His sher-o-shayari is well accepted and recited all over World. His books on Urdu poetry are Azab-e-deed, Khaima-e-Jaan, Barg-e-Sehra, Talu-e-ashk, Rida-e-Khwab, etc.